When Kim Kardashian dyes her hair, the world watches. The 33-year-old new mom has recently ditched her blonde locks for a toned down brunette shade that makes her look more sophisticated and mature. 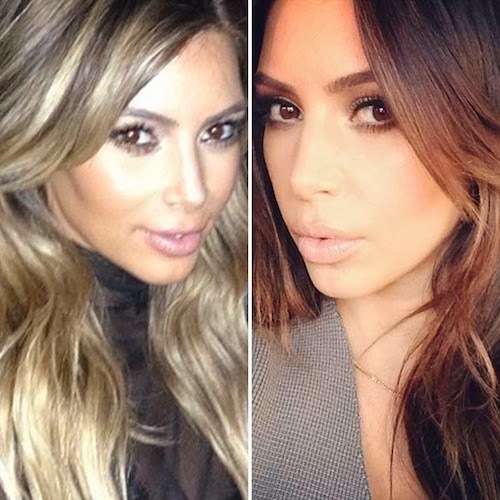 While most people believe a brown to blonde transition is the trickiest, it's just as tricky going the Kim way! If you have the urge to trade in your light hue for a darker shade, you need to know exactly what you're asking for when you make the jump.